I feel like I’m totally going back in time with this post. Not with the recipe but with the pictures. Technically I’m on vacation visiting family but seriously I just can’t ever stop cooking. I don’t like to take vacations from cooking and baking. I’m pretty sure I’m addicted. At least its a healthy-ish addiction right :)? Besides all my family ever says when I see them is, “I’ve missed your cooking”. Seriously, when is someone just going to say to me, “we’ve missed you“? Anyway I took these pictures with my sisters camera since I didn’t bring mine along. I wasn’t planning on sharing these but they were too good not to. Really how could you go wrong with this kind of combination? 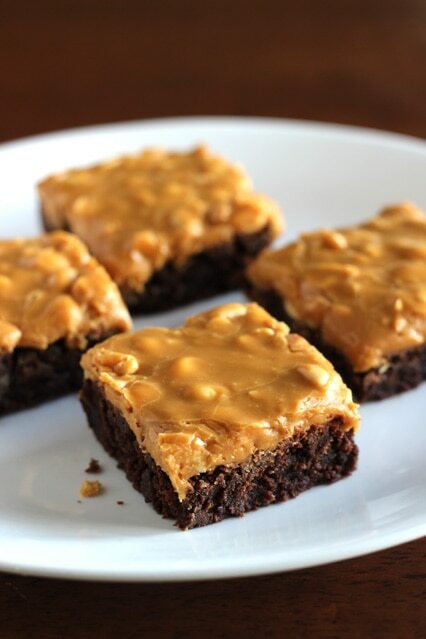 Fudgy, chewy, chocolaty brownies topped with a carmely, rich, dulce de leche frosting that’s loaded with lightly salty peanuts that offer just the right amount of crunch and contrast – yes, it’s an irresistible combination. Enjoy! 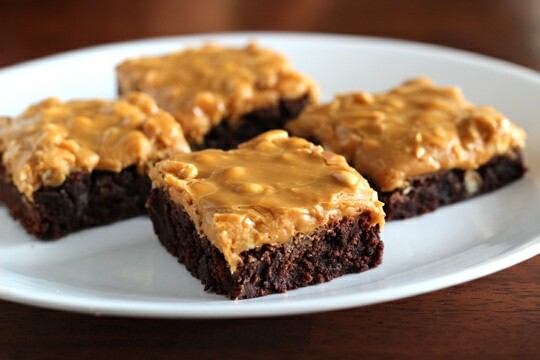 Rich decadent brownies topped with a caramel dulce de leche and crunchy peanut frosting. Preheat oven to 325 degrees. 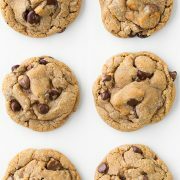 In a mixing bowl, whisk together granulated sugar and brown sugar, then whisk in flour, cocoa powder and salt. Add in melted butter and using a wooden spoon, stir until evenly moistened. Mix in eggs then egg yolk and vanilla. 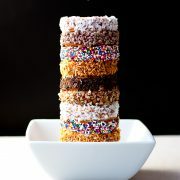 Pour mixture into a buttered 8 by 8-inch baking dish and spread into an even layer. Bake in preheated oven 28 - 32 minutes until toothpick comes out free of batter. Allow to cool completely. In a small saucepan set over medium-high heat, bring butter, milk and light brown sugar to a boil, stirring frequently. Allow mixture to boil for 1 minute then remove from heat, stir in dulce de leche and vanilla. Add in powdered sugar and whisk until well blended. Stir in peanuts and pour mixture over cooled brownies and spread into an even layer. 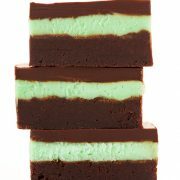 Transfer to refrigerator or allow frosting to set at room temperature then cut into squares and store in an airtight container. Gabriela: This is great! I will make it this weekend. I brought dulce de leche from my country so I was thinking what can i do with it, and this will be great to try. By the way, can they be kept outside the fridge or not? astrid: For how long are baked?